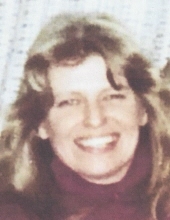 Elaine Rozanowski ( nee Krasko), 67, died Monday, September 17, 2018. Born in Jersey City, she lived in Harrison before moving to North Arlington 30 years ago. She worked as an executive assistant for F.W. Woolworth Company in New York City for 36 years before retiring. She was the beloved wife of Ronald, the devoted mother of Laurie of Las Vegas, the cherished sister of Joseph Krasko, the dear sister-in-law of Frances Castelli, Linda Cefalo and Joseph Rozanowski and the loving aunt of many nieces and nephews. Funeral Service at the Parow Funeral Home 185 Ridge Rd., North Arlington on Saturday, September 22nd at 10:30 a.m. The interment will follow Holy Cross Cemetery, North Arlington. Visitation will be at the funeral home on Friday 2-4 & 7-9 p.m.
To send flowers or a remembrance gift to the family of Elaine Rozanowski, please visit our Tribute Store. "Email Address" would like to share the life celebration of Elaine Rozanowski. Click on the "link" to go to share a favorite memory or leave a condolence message for the family.